The BRegs Forum was launched in 2013 to debate and share information about Building Regulations and Building Control Regulations in an open-source user-friendly format. Its primary focus is concern for the safety and welfare of Irish people in and about the buildings they use e.g. their homes, schools, offices and places of entertainment and to encourage greater consumer protection to the process of building procurement. The Building Control (Amendment) Regulations, aka BC(A)R, were introduced in 2014. In the absence of any official public information campaign by the Department of the Environment, the BRegs Blog has filled the void and become the recognised source for advice and opinion in relation to BC(A)R for anyone involved with the construction industry whether as an occupier, builder, developer or business professional. 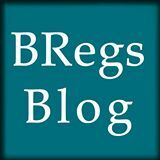 The BRegs Blog has published over 1,500 posts and articles and received almost 750,000 views. Not bad for a blog that’s about (let’s face it) Building Control. Contributions come from a unique collaboration of economists, academics, politicians, solicitors, journalists, civil servants, building control officers, builders, building owners, surveyors, engineers, architectural technologists and architects. New to BCAR – Confused? Just click on the following title: Where do I start? The BReg Forum is not a representative body. Contributors include: Padraig Murray, Michael Collins, Peter Hanna, Joan O’Connor, Eoin O’Cofaigh, Arthur Hickey, Sean Carew, Orla Hegarty, Maoilíosa Mel Reynolds, Mark Stephens, Vivian Cummins, Caomhan Murphy, John O’Keeffe, Colin Jennings, Paddy O’Toole, Eoin O’Morain, Martin Murray, Deirdre Lennon, Gerry Egan, Jimmy Delahunty, Malcolm McDonnell, Jan van Dyjk, Brian O’Donnell, Sarah I. Kelly, Joseph Little, Stephen Collins, Joe O’Brien, Dervla Cotter, Patrick Weafer, Peter Cassidy, Peter Roberts, Peter O’Shaughnessy, Barry Kelly, Paul Conway, Mark Turpin, Jean Early, Eileen Fitzpatrick, Maurice Fitzgerald, Des McMahon, David McHugh, Gerry Murphy, Eamon Hedderman, John Feely, Paul C. Mealy, Mary Laheen, Paul O’Toole, Shane McCloud, Malachy Mathews, Joe Byrne, Nigel Redmond, Amanda Gallagher, Barry Lyons, Zeno Winkens, Jerry O’Connor, Keith Graham, James Cash, Deirdre Ni Fhloinn, Jan McIntyre, Raymond McGinley, Eóin Leonard, Mícheál de Siún, Ciarán Ferrie, Brian Rochford, Lester Naughton, Mairéad Phelan, Simon McGuinness, Seán Breen, Michael O’Neill, Kevin Tyrrell, Isabel Barros, Liam Innes, Denise Germaine, Cormac Bradley, Helen Duffy, Andrew Alexander, David Hughes, Dr. Lorcan Sirr, Sarah Fox and CJ Walsh. Contributors list last updated April 2016. The information contained in this blog is for general information purposes only. While it endeavors to keep information up to date and correct, it makes no representations or warranties of any kind, express or implied, about the completeness, accuracy, reliability, suitability or availability with respect to the blog or the information, products, services, or related graphics contained on the blog for any purpose. Any reliance you place on such information is therefore strictly at your own risk. In no event will the blog be liable for any loss or damage including without limitation, indirect or consequential loss or damage, or any loss or damage whatsoever arising from loss of data or profits arising out of, or in connection with, the use of this blog. Through this website you are able to link to other websites and blogs which are not under the control of the BRegs Blog. We have no control over the nature, content and availability of those sites. The inclusion of any links does not necessarily imply a recommendation or endorse the views expressed within them. Every effort is made to keep the blog up and running smoothly. However, the BRegs Blog takes no responsibility for, and will not be liable for, the blog being unavailable due to technical issues beyond our control.